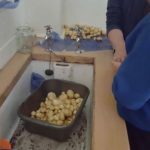 We lifted our tatties today at Insch School. Didn’t manage to weigh them but one child counted 168. 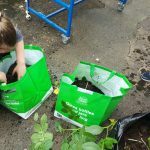 Everyone went home with a little bag full to cook at home as we didn’t get time to cook them at school. The children loved doing this. 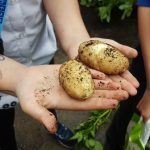 Our school won some awards for lunch box recipes at taste of Grampian this year so next year I’d like to get them chitted and planted earlier so that we can use the tatties in our recipes for the competition.